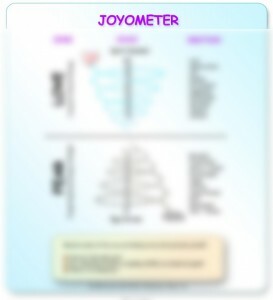 Thank you for coming to this page to get your free gift, the Joyometer. The Joyometer is a powerful tool that can help you manage your emotions and moods by bringing a higher awareness to how you are feeling and if you are attracting or pushing away your goals and dreams. Please enter your name and email address so that we can share this powerful tool to bring more joy into your life today. *You will also receive a complimentary subscription to Karin’s Inspiring Lives ezine. Where she shares her best resources, tools and stories to keep joy, abundance and happiness flowing through your life at all times!